Sometimes, when I connect an external set of headphones/speakers, I am unable to change the volume. When I press one the volume keys, I see the image below. Why does this happen? Interestingly, if I am playing music using software that has a volume control (e.g. Spotify or Youtube) I can still change the volume with the mouse using the application's volume bar. However, the system's volume bar is greyed out and can't change it either. 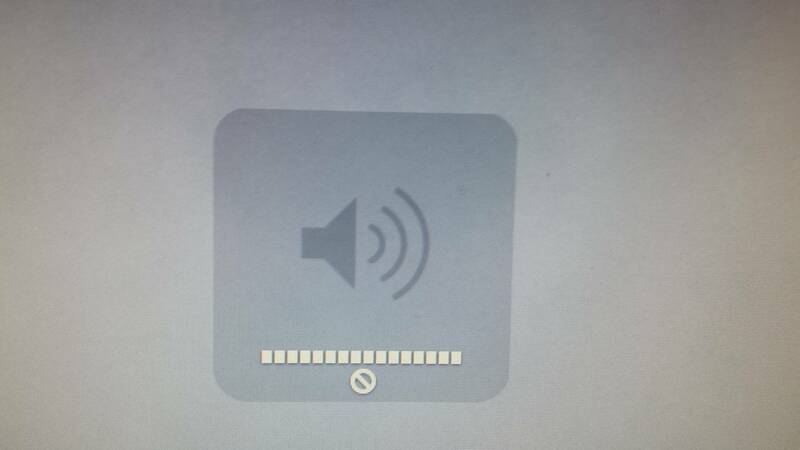 This icon appears when the external device or application has taken over and is to be used to adjust volume. That also means the internal speakers are disabled. To verify, go to system preferences sound, and look in the output tab which device is to be used to adjust volume. If I select the Sharp TV I will get the icon like you have if I try to adjust volume on may mac, so i have to use the TV volume adjustment. However if i select Internal speakers the volume adjustments works on my mac. Simple Hack: Plug in a pair of headphones, then unplug them. This will allow you to control the volume again.